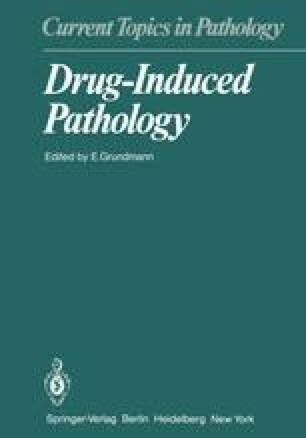 The diagnostic assumption of drug-induced renal damage presupposes a causal and/or temporal relationship between the ingestion of a particular drug or drugs and the appearance of the symptoms. Demonstration of a causal relationship is often complicated by the ingestion of several potentially nephrotoxic drugs (McMenamin et al. 1976).